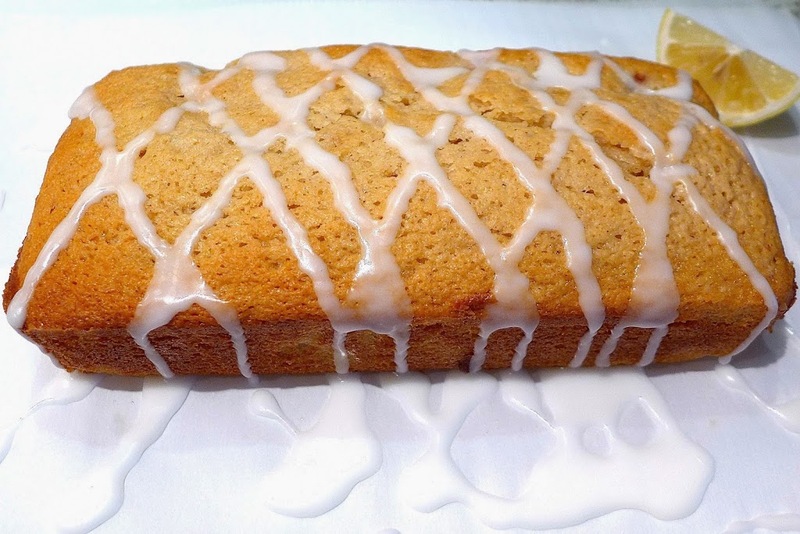 Here’s an Old Fashioned Peach Cake you can assemble in 30 minutes and bake in about an hour. The best part: No mixer, no butter. Add in peaches or your favorite fruit. Moist, fluffy and versatile. No matter your skill level, make and adapt this old fashioned recipe to please your needs and tastebuds. Let’s bake! Forget pricey equipment or creaming butter. This dynamite cake is not only easy but can fit special needs like gluten free, dairy free or vegan. 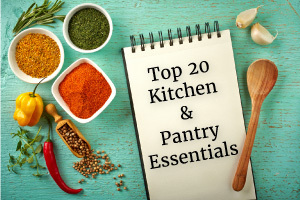 Grab two mixing bowls, some measuring cups and spoons and the ingredients below. 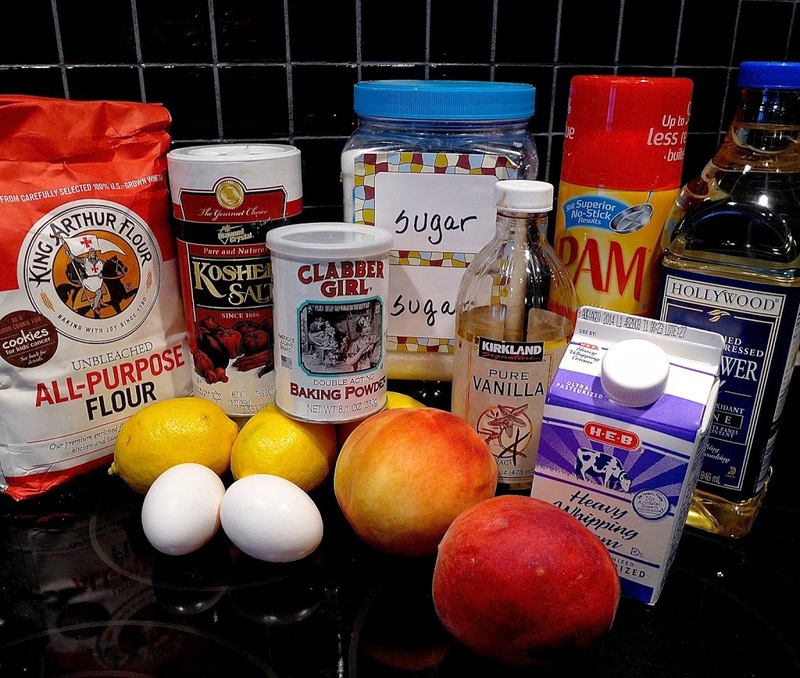 Use whatever flour, sugar or milk products suit your needs. For a vegan cake, just skip the eggs and use cold almond, soy or coconut milk. ‘Tis the season for peaches, but you can add in berries, apples or another favorite. If you’d rather add 1-2 cups of nuts, chocolate chips or a candy combination, leave out lemons and increase milk or cream of choice to 1 cup. Give the milk that old-fashioned tangy buttermilk flavor and stir in (just 1 T) lemon juice or white vinegar. For my readers who use the metric system, I have added metric equivalents to the recipe. 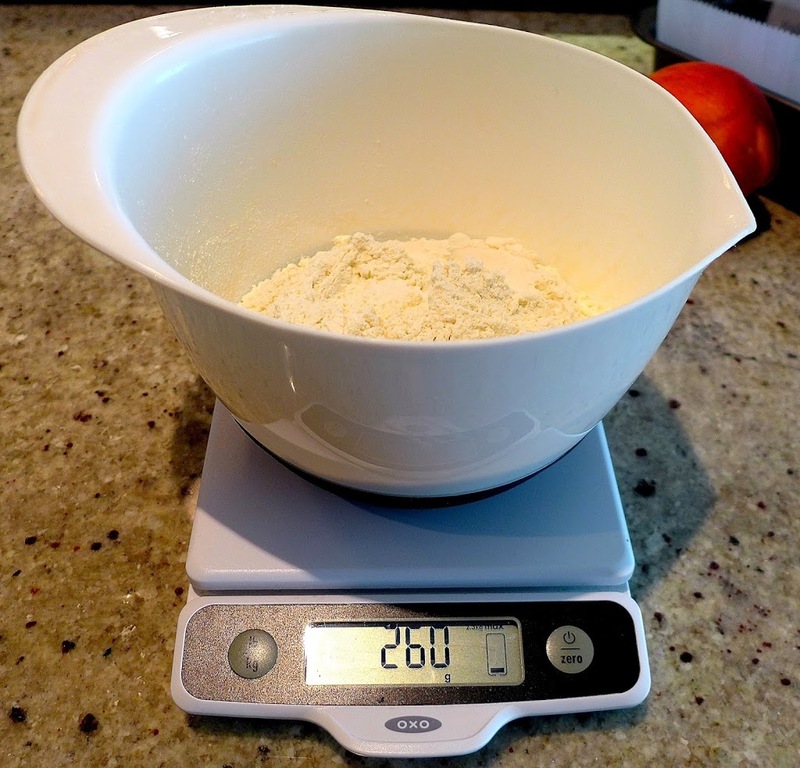 Weighing your flour will give you better, more consistent baking results (cup measurements are not very accurate). 1 cup AP flour = 130 gm. This recipe calls for 2 cups of flour or 260 gm. 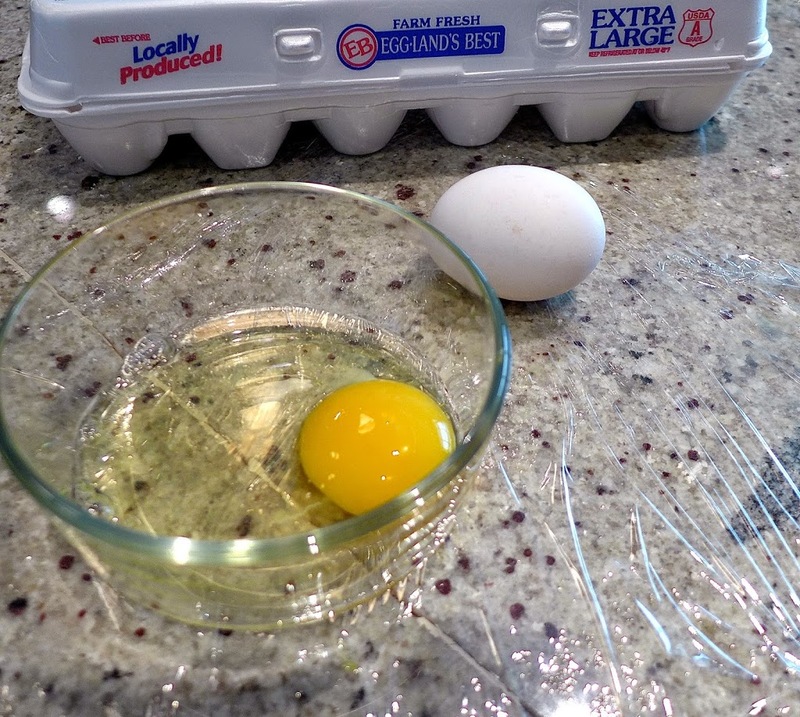 Place a piece of plastic wrap on the counter before you crack your eggs and you’ll have clean(er) counters later. 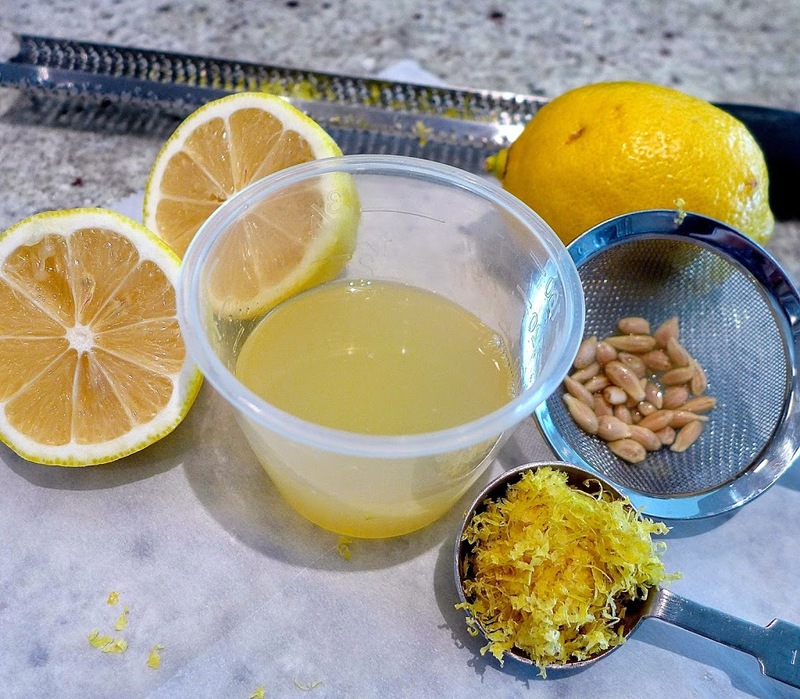 Zest lemons first and then squeeze the juice. Strain out seeds and pulp with a tea strainer, coffee filter or paper towel. 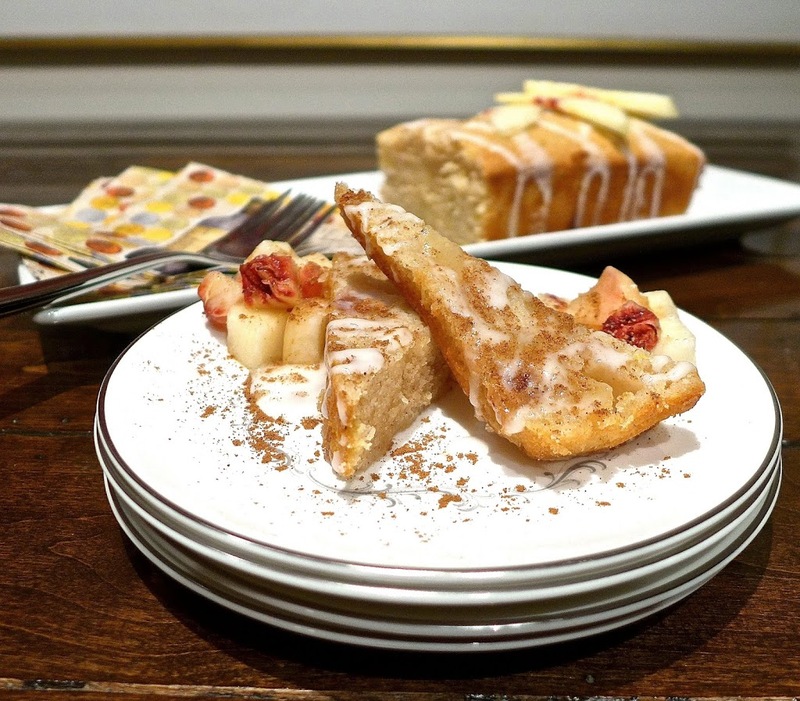 Taste your fruit before you bake- is it sweet enough? To keep the recipe simple, I didn’t include cinnamon and brown sugar in the photo of ingredients above. BUT BAKING AND COOKING IS ALL ABOUT IMPROVISING- SOMETIMES YOU HAVE TO ADD OR ADJUST FLAVORS TO GET THE BEST RESULTS. After tasting the fruit, I decided to add 2 T brown sugar and 1/2 tsp cinnamon to these pale beauties. 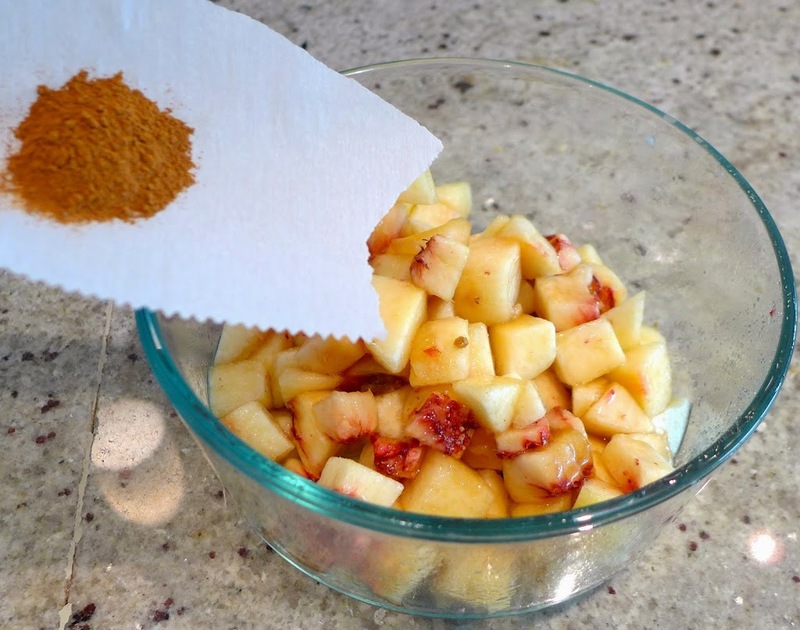 Feel free to sweeten and add in 1/2 tsp spice of choice to your fruit or mix in. Whisk wet ingredients well to break up the egg yolks and dissolve the sugar. Add flour a little at a time and stir gently to break up the clumps. 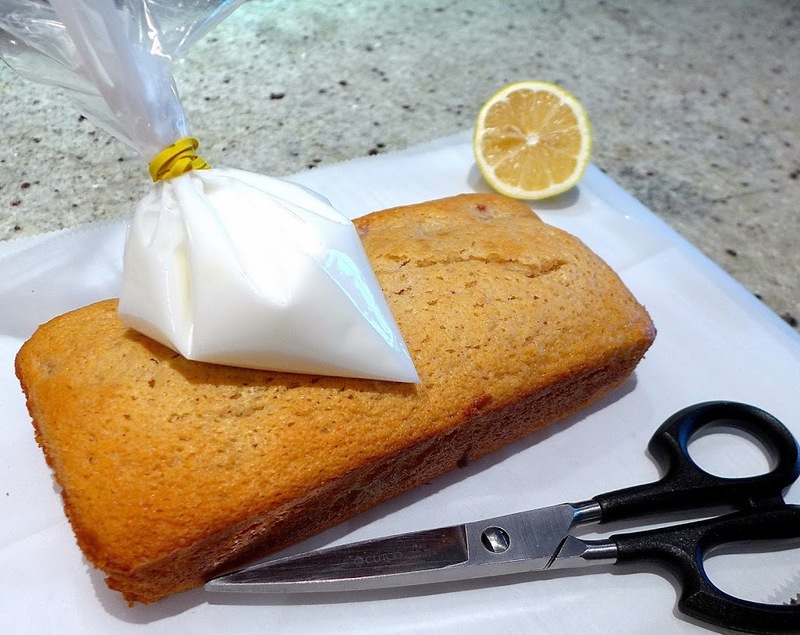 “Switch” to a large spatula or metal spoon when folding in the flour to ensure a light, airy cake. Stir in fruit and juices (or your preferred mix-in) with as few strokes as possible until the last bits of flour disappear. Why two 8 x 4 cake pans? Two smaller cakes take less time to bake, plus we can eat one and freeze or save one for a friend or special occasion. You can also use an 8 x 8 pan- just cook it longer! For the optional glaze, combine powdered sugar with a combination of lemon juice and milk of choice or just all milk. Pour the glaze into a ziploc bag, secure with a rubber band and snip one corner. Instant “pastry” bag. Now you are a “fancy” baker! Old fashioned baking is ALWAYS in style. You won’t need a mixer or butter to assemble this cake in 30 minutes and bake in about an hour.Add in peaches or your favorite fruit. Moist, fluffy and versatile. No matter your skill level, make and adapt this old fashioned recipe to please your needs and tastebuds. 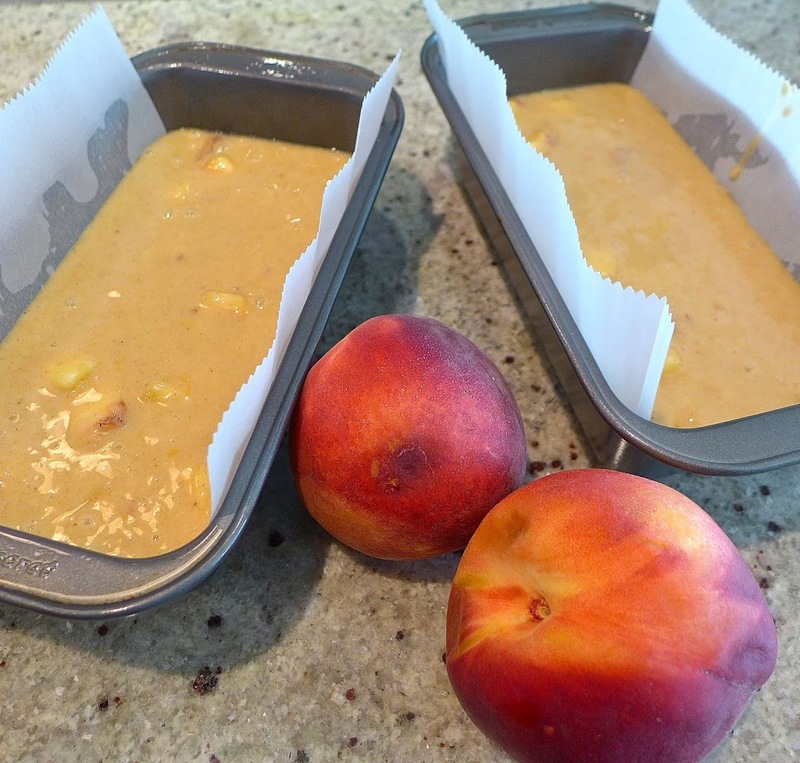 Spray 2 8 x 4 loaf pans or an 8 x 8 square baking pan with cooking spray and line with parchment. In a medium size bowl, measure and sift together dry ingredients: flour, baking powder and salt. 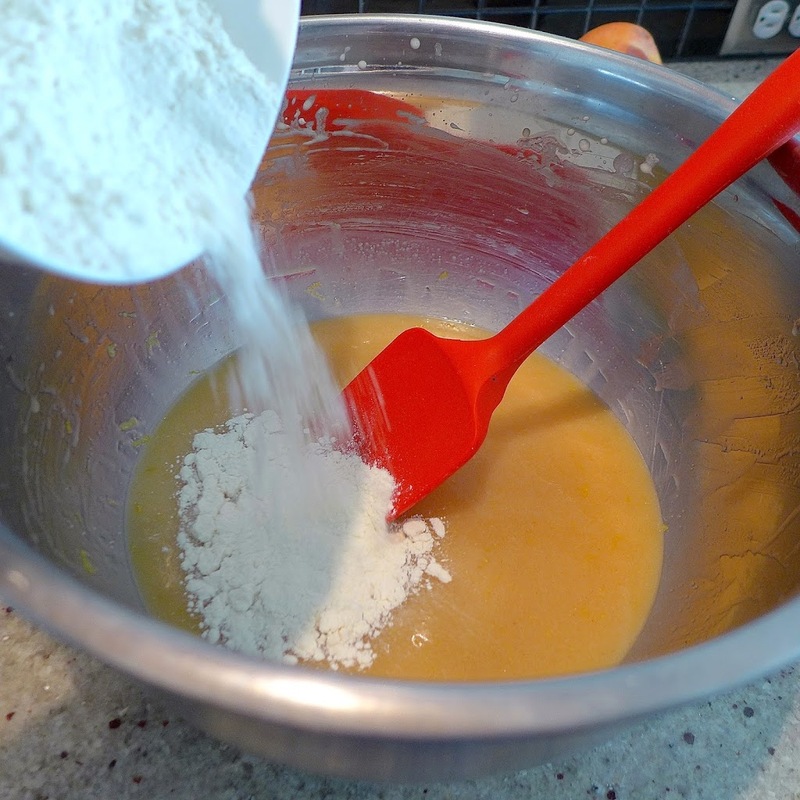 In a large mixing bowl combine and whisk together wet ingredients: eggs, oil, milk or cream, lemon juice, zest and vanilla. Add in sugar and whisk well. 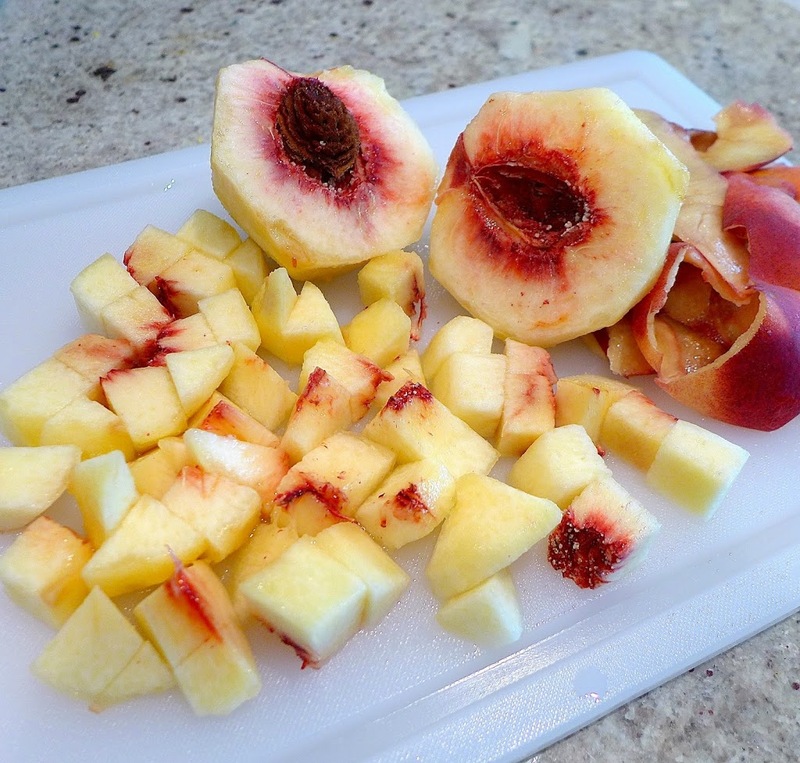 Peel and chop peaches and set aside. Optional: stir in 2T sugar and ½ t cinnamon. Add flour mixture to wet mixture. Set whisk aside. 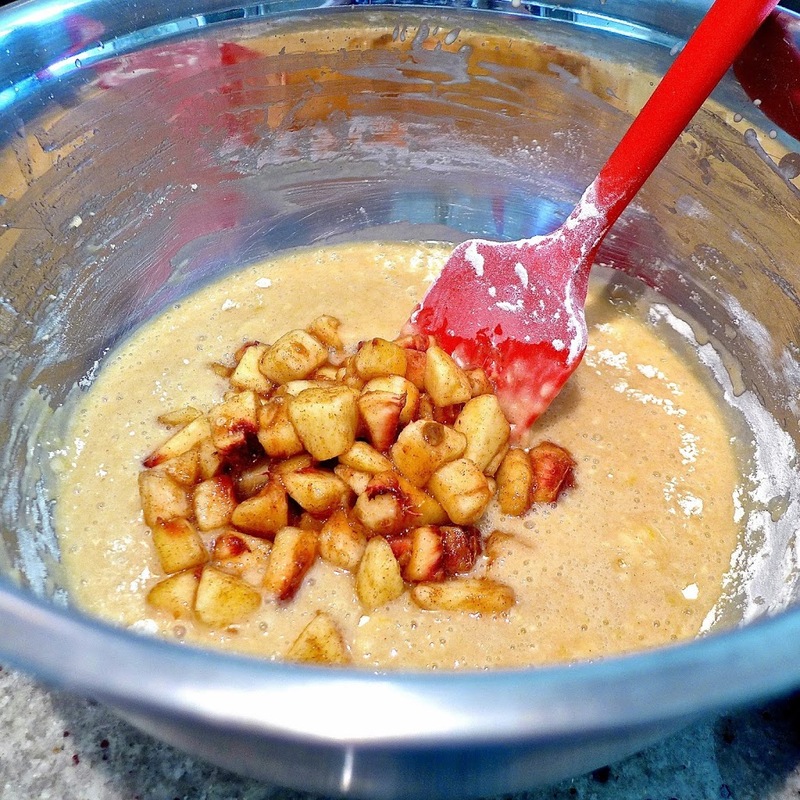 Use a spatula or large mixing spoon to gently stir batter just until flour lumps disappear. 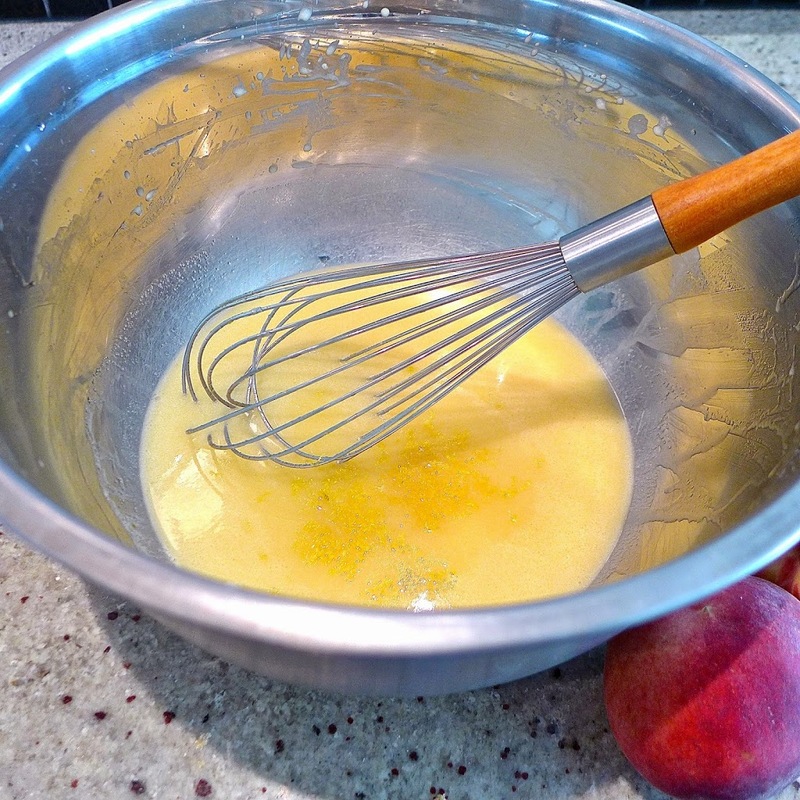 Mix in peaches and their juices with as few strokes as possible until just combined. Pour batter into prepared cake or 2 loaf pans. Bake single cake 65 -75+ minutes. Bake loaves 45 – 50+ minutes, checking after 40 minutes. Check cakes for doneness by inserting a toothpick into the center, which should come out clean. 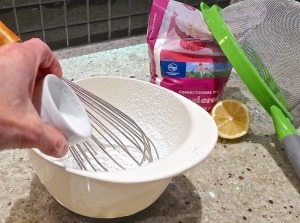 For glaze, whisk together powdered sugar, lemon juice and milk (Or use 3T milk of choice and no lemon juice). Pour glaze into a small Ziploc bag; secure the top with a rubber band and use scissors to cut off a tiny corner of the bag. Make a design over the cooled cake, such as a zigzag or wavy pattern. Or just pour glaze over top of cake and smooth with a butter knife.